WIN LUNCH FOR 4 at The Palm with Christine and Tom from A&C!! Keep scrolling down to find out how. 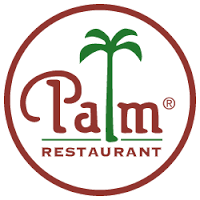 I remember that night in 1995 when The Palm opened at the now Westin Hotel. General manager Willie Cellucci was the heart and soul of The Palm. 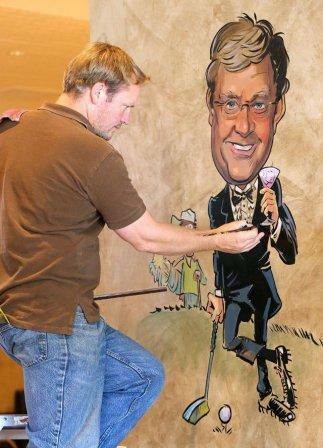 (He passed on in 2013 but his spirit remains and his newly created caricature is prominently overlooking the restaurant toward the bar.) Artist Zack Bird, who’s been painting faces for The Palm since 1994, brings them to life. 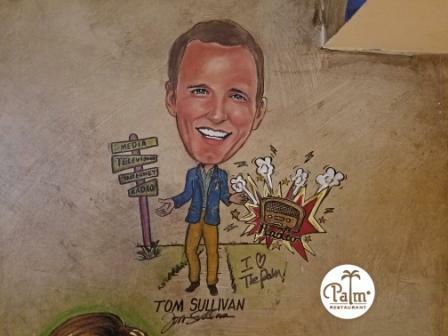 I am grateful to Willie for surprising me shortly after opening with my own caricature on the famous Palm wall and overlooking table 54! 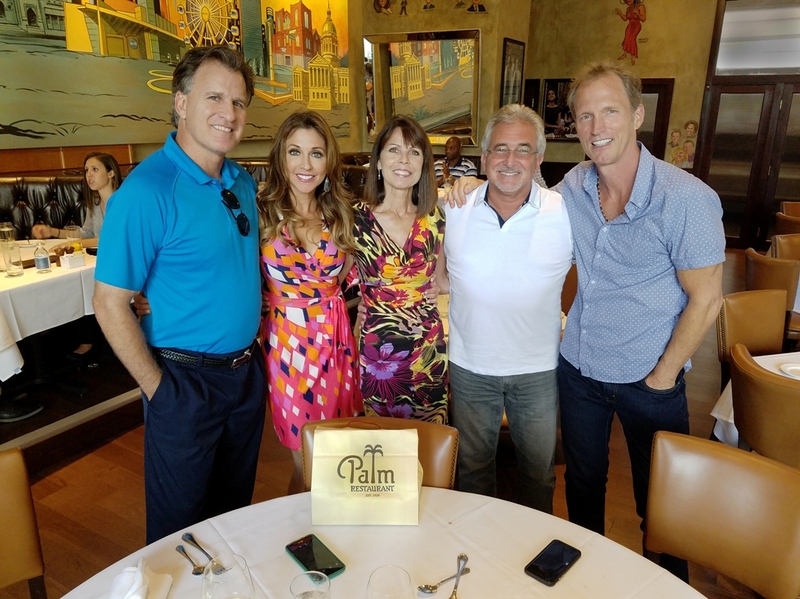 So recently The Palm underwent a major renovation creating a more inviting environment. 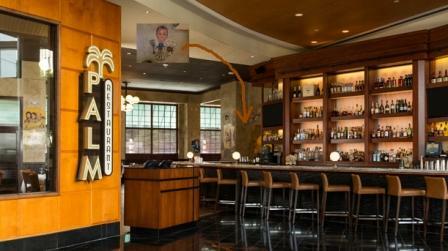 The bar is now expansive and opens into the Westin lobby creating a seamless transition from one space to the next. The lobby now feels like a part of the restaurant and vice versa. 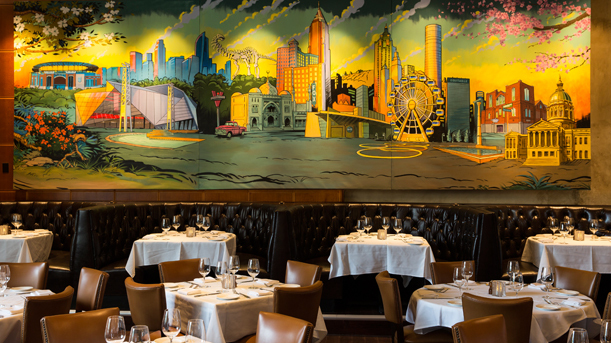 Artist Zack Bird painted a beautiful, colorful mural on the main dining wall which is a favorite. 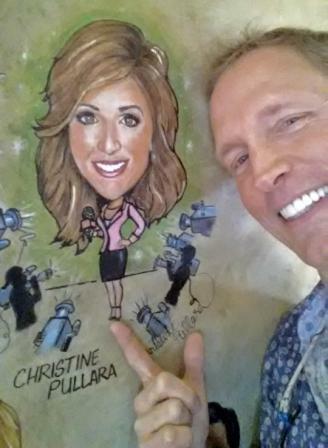 General Manager Andrei Caciula surprised me on a recent visit with my new (and improved) caricature! I met Andrei at a party for LA Reid and we became friends. 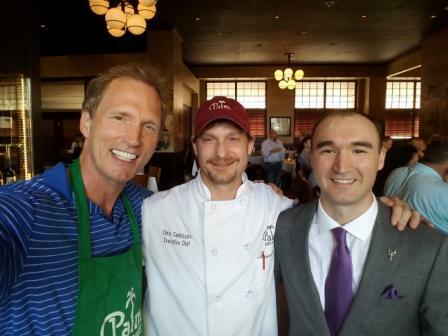 Executive Chef Chris Cannizzaro and his team create Palm favorites that keep me coming back! This contest begins January 4, 2017! on Atlanta & Company with more details! **Contest runs from January 4, 2017 through February 2017. 3:) INCLUDE word “PALM” in SUBJECT line or entry not accepted. Here are our fun winners from the Summer / Fall 2016 contest! 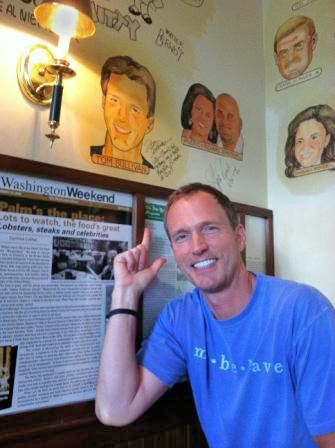 I look forward to seeing you at The Palm and on Atlanta & Company! 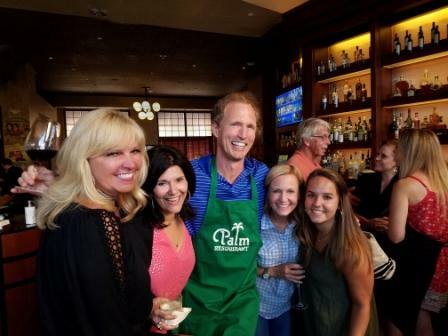 The Palm Celebrity Bartender Night!